Most people have never heard of quinoa, although it is considered a complete protein source. Widely and incorrectly assumed to be a grain, quinoa is related to leafy green vegetables such as collard greens and spinach. With roots in South America and once referred to as “the gold of the Incas”, quinoa nutrition benefits are many – the valuable nutritional and health benefits make quinoa a type of nutritional superfood all by itself. With more and more people realizing the value of considering food as medicine, the nutritional benefits of quinoa are being rediscovered. The protein that it possesses includes every one of the nine amino acids needed in order to qualify as a complete protein source. Studies on quinoa nutrition further reveal that it is extremely rich in antioxidants, phytonutrients and can be used in natural cures and home remedies to balance blood sugar levels. Immediately upon learning of quinoa’s nutritional value, the health benefits it offers begin to crystallize. The magnesium contained in quinoa is also known to aid in relaxing tense muscles, which is of great help to those who suffer from Restless Leg Syndrome (RLS). Magnesium also helps to relax blood vessels, which has a quite positive effect on achieving normal blood pressure levels. 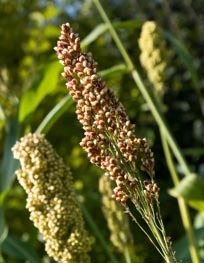 Quinoa also performs as a prebiotic, which nourishes the good bacteria needed for healthy intestinal function. As a light and very versatile food, quinoa nutrition benefits can be enjoyed in a variety of different recipes from soups to salads or even by itself. Most find that it is easy to digest, though fresh quinoa should be rinsed thoroughly and soaked for several hours to make digestion even easier. Reactions to quinoa are rare. However, because it contains oxolates, those who intentionally restrict oxolates in their diet are advised to also avoid quinoa. In quinoa, nutrition as well as protein missing in meatless diets, make it a preferred food choice for many vegetarians and vegans. Because it is gluten-free, it is safe for people who have been diagnosed with a gluten intolerance. As the ancient Incas discovered long ago, quinoa nutrition provides complete nutrition that most everyone can, and should, enjoy.